We haven't let the fact that we don't have a car at the moment stop us from getting out there and enjoying fun days out. 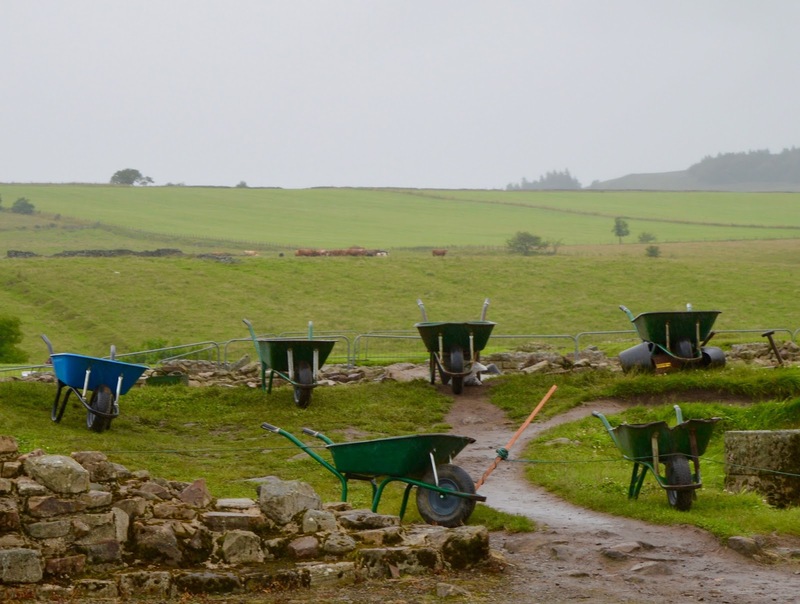 Visiting Sycamore Gap along Hadrian's Wall was on our bucket list this summer, and with a little bit of research, I found that we could actually get here quite easily by bus. 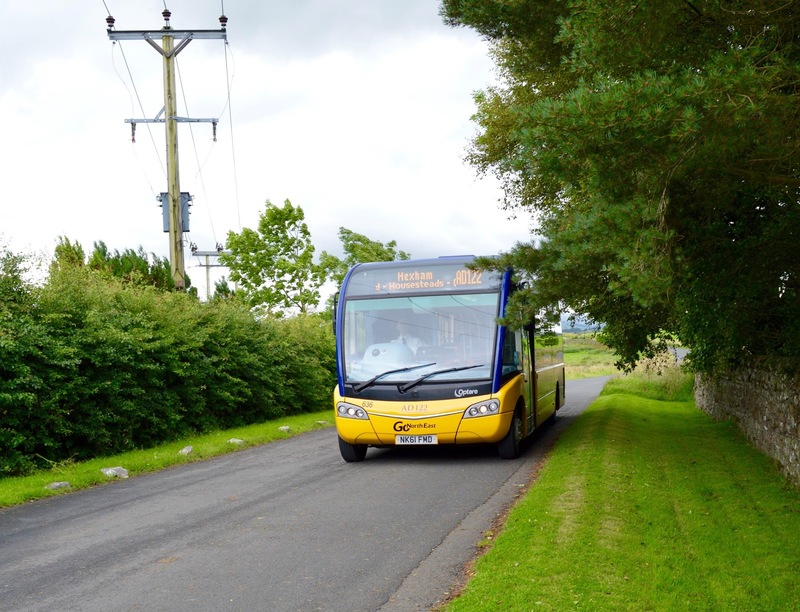 The Go North East AD122 travels between Hexham and Haltwhistle, stopping at various points along Hadrian's Wall along the way. 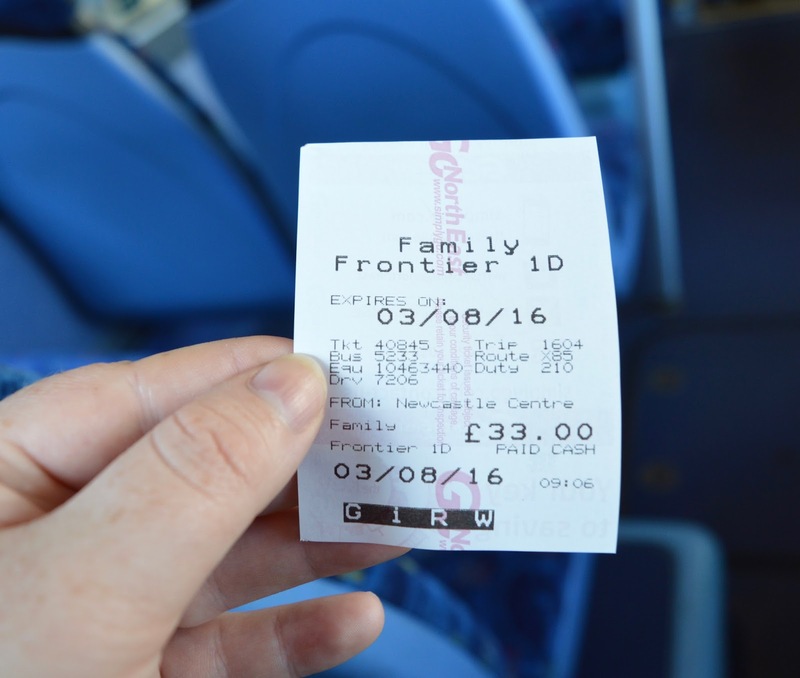 The service costs £26 for a Family 1 Day Rover Ticket (with unlimited travel on the AD122 for that day) or £33 for a Family 1 Day Hadrian's Frontier Ticket which allows travel on any Go North East bus across the North East. Family tickets cover up to 2 adults and 3 children and save you at least £23 when compared to buying individual tickets. 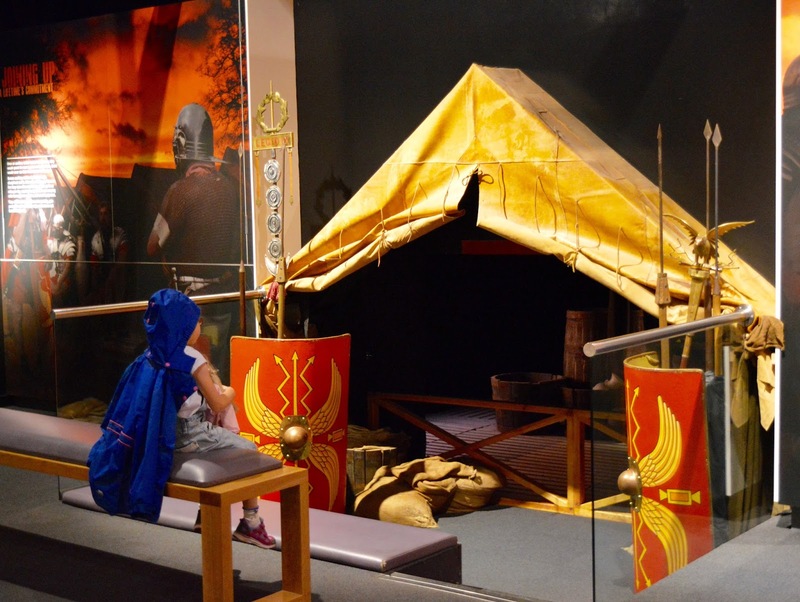 The Roman Army Museum is small but perfectly formed and the perfect place to start your Hadrian's Wall adventure. The 3D cinema is really interesting and brings to life what life was like on the wall for the Roman's and also points out various points of interest. 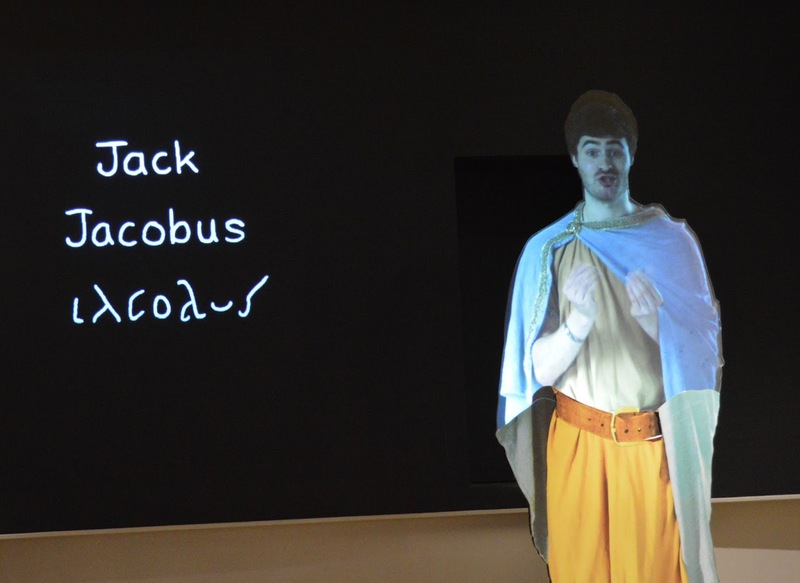 We especially enjoyed the Roman lesson and our teacher put us through our paces, teaching us how to speak and write in Latin. The AD122 bus isn't too regular so it's important you are at the bus stop around 5 minutes before the bus is due. There are timetables on board for you to take, you can access timetables via the Go North East app or they are displayed at bus stops. The bus drivers are ever so friendly and will happily give you advice on walking routes or the best itinerary if you ask. They'll also stop anywhere along the route as long as it's safe to do so, so when you board the bus, simply let the driver know where you'd like to go. 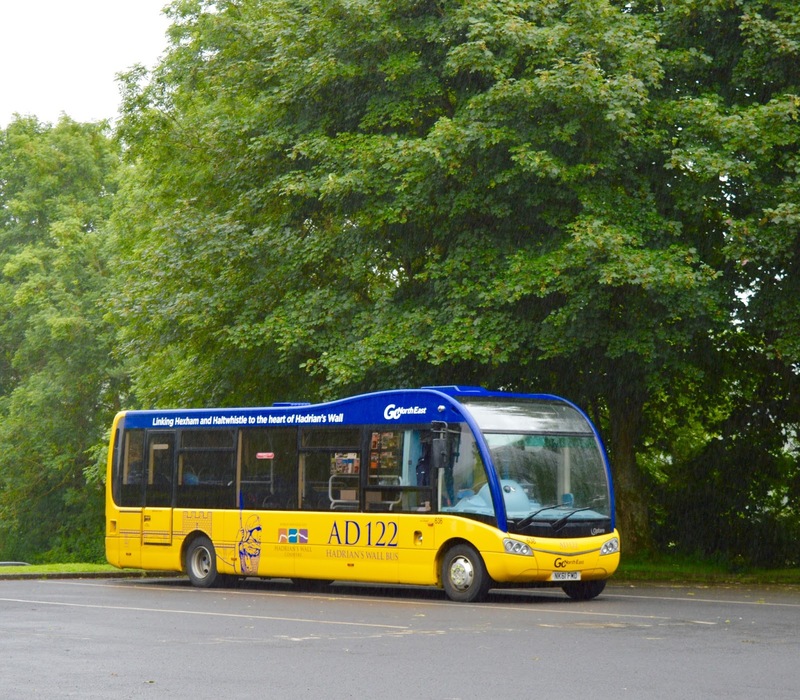 The AD122 is a talking bus and there is a large visible screen telling you where the next stop is and the bus will also point out different points of interest as you drive along. 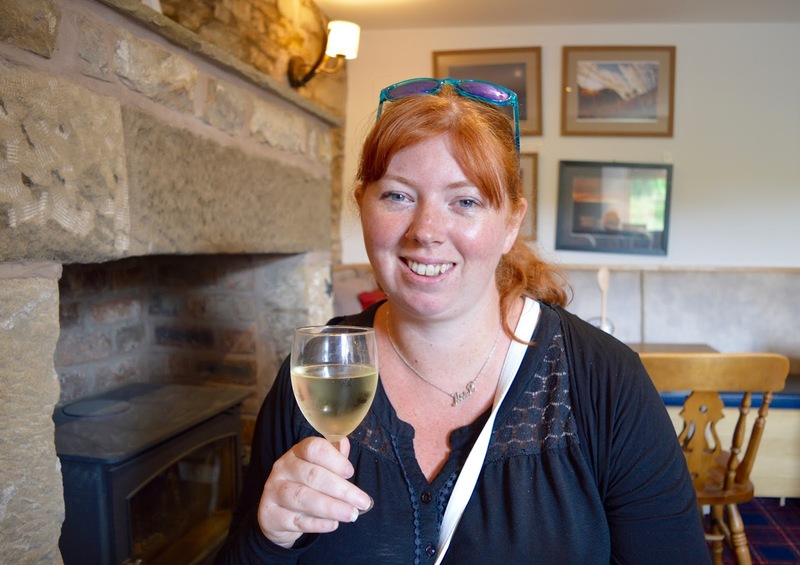 One of the best things about not having the car with us was being able to enjoy more than one glass of wine with lunch. We stopped at Twice Brewed which is a nice dog-friendly pub with lovely staff and a cosy, welcoming interior. I LOVED that there was a board game corner (and they were in good condition). 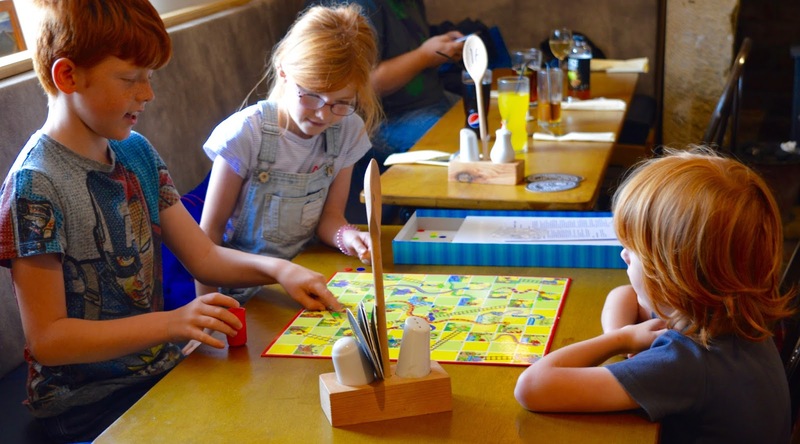 The kids happily played snakes and ladders whilst we waited for our food. 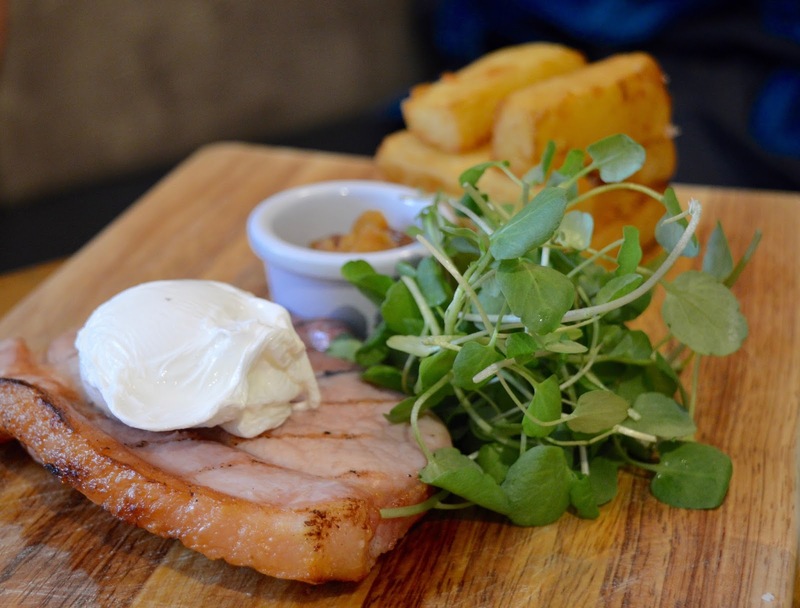 Steve picked best with his Gammon, Poached Egg, Homemade Chunky Chips and Pineapple chunky chips from the main menu (£12.95). It was all homemade and really hit the spot. 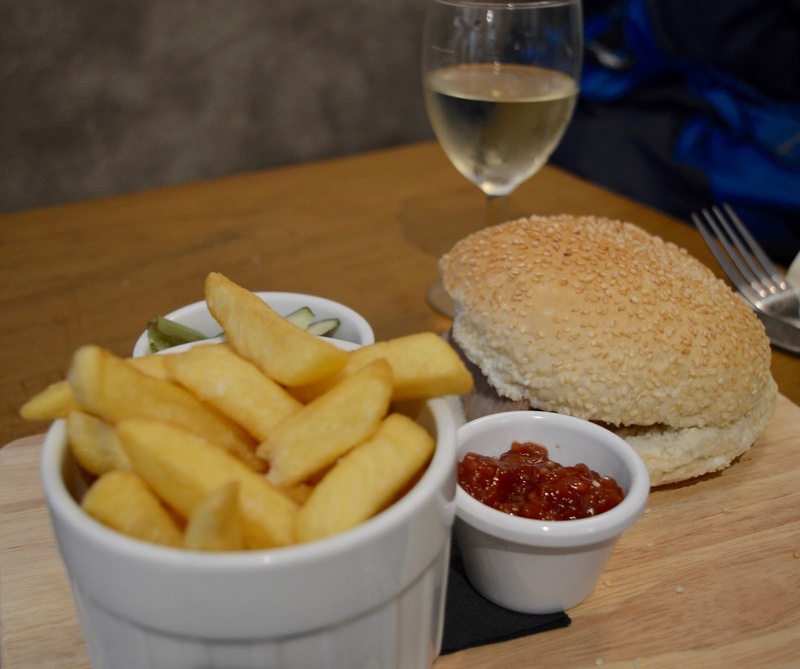 I ordered the local sausage sandwich with chips and tomato relish which considering it was served with frozen chips, I thought was a bit steep at £9.25. It's so annoying when your husband is served homemade chips and you're given frozen! The sausages were nice and I do think it's a shame they went to the effort of sourcing local sausages but served them up with frozen chips when homemade were available. The kids' meals were £4.95 for a (frozen) main meal. 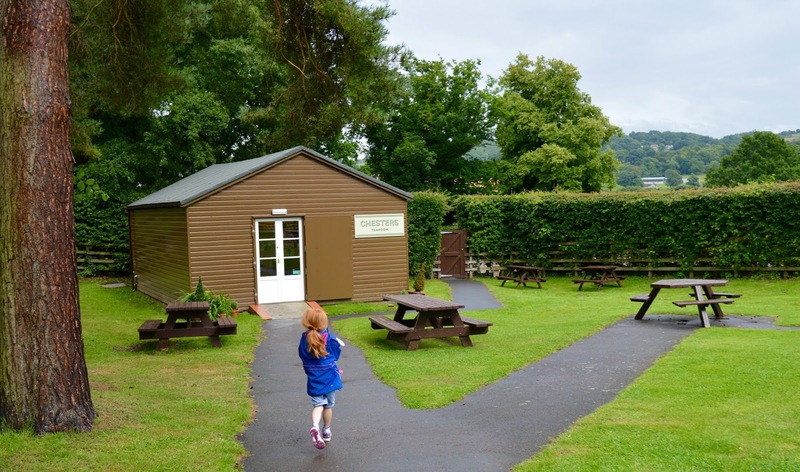 They enjoyed it but I would really love to see country pubs make more of an effort and cook homemade meals for everyone. 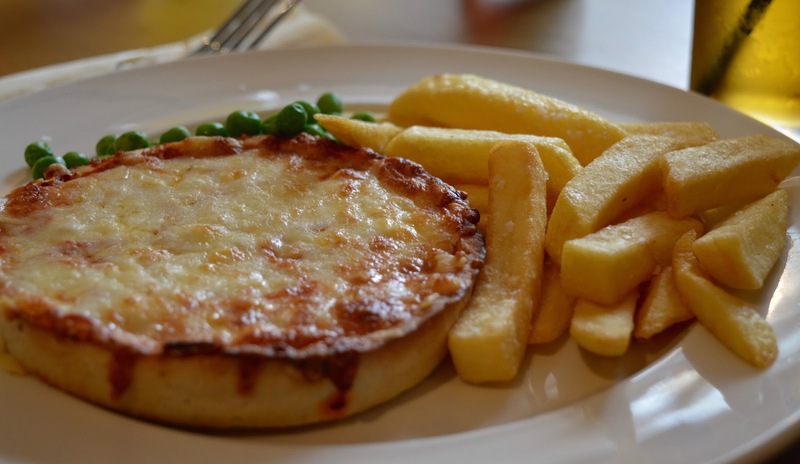 St Mary's Inn in Stannington offers 2 homemade courses PLUS a drink for kids for the same price and because of this, we return again and again. If a pub serves up frozen produce it doesn't give me much reason to go back. I realise I'm sounding like a bit of a moaning minnie here. 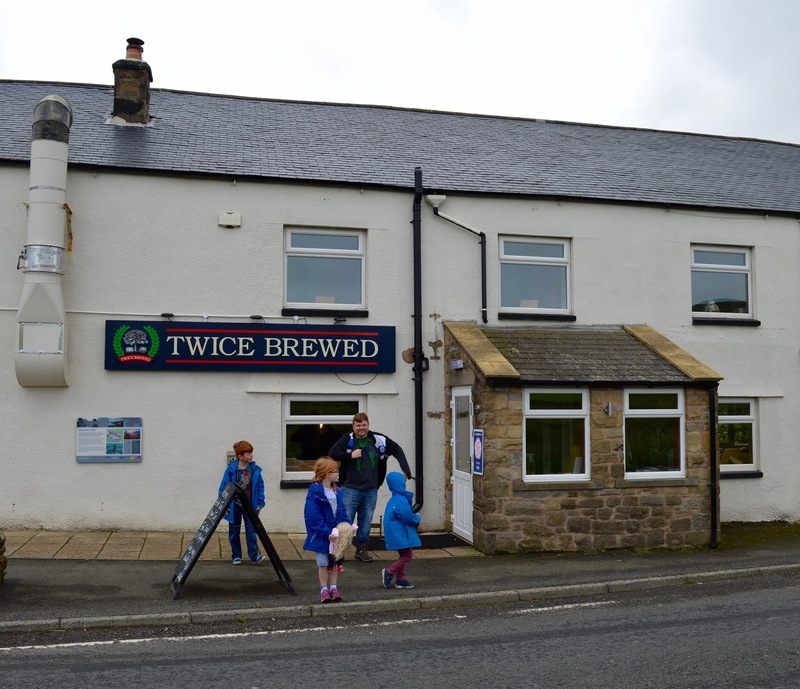 We did like Twice Brewed Inn but wouldn't rush to return - the AD122 also stops at the Milecastle Inn and there are several tearooms at various sites along the wall so I think we would try one of these next time. We chose to stay at the pub and enjoy an extra drink rather than rush to finish our lunch and catch the bus. 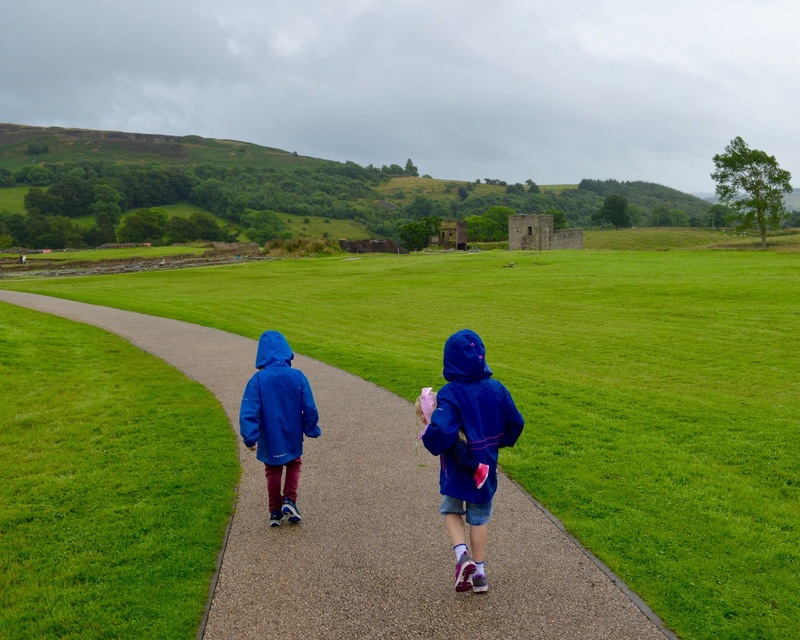 It's a nice walk from the pub to Vindolanda (although a lot of it is along a quiet road so perhaps not suitable for spritely toddlers) and as we had the kids with us and a lot of it was up hill, it probably took us just under an hour. A good way to burn off lunch we thought though! 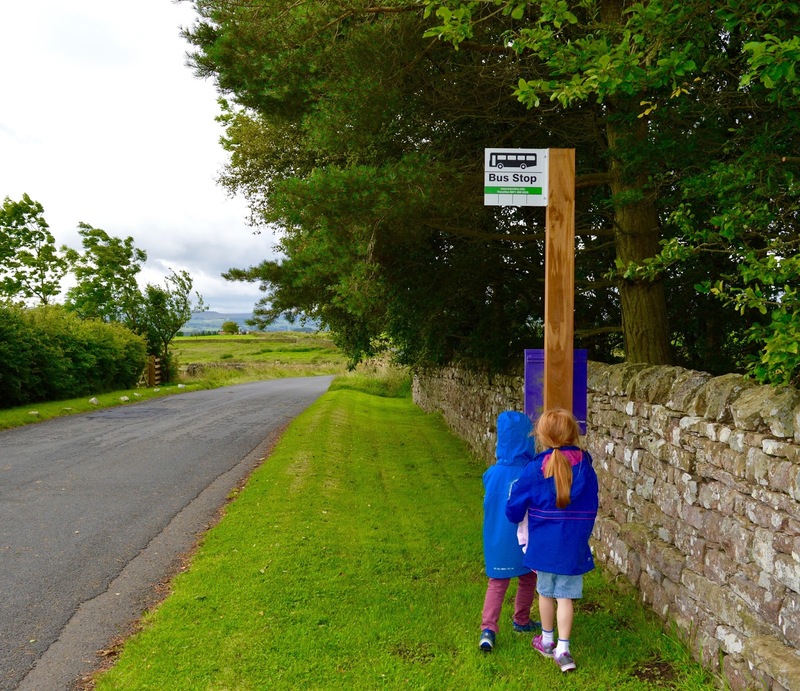 You can catch the bus if you don't fancy the walk which will only take you 6 minutes. 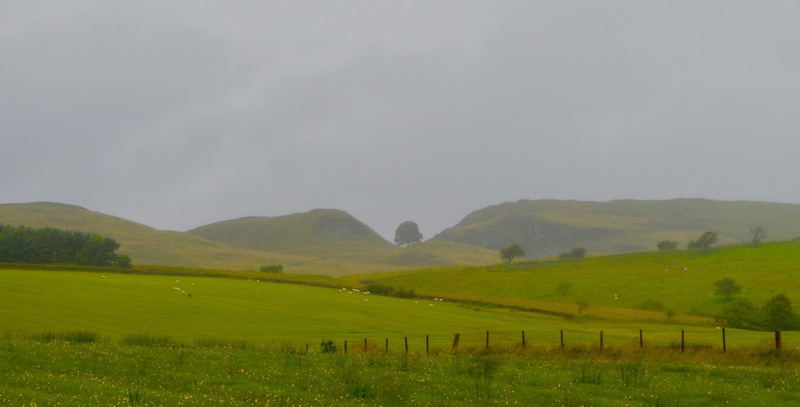 The views along the walk to Vindolanda are beautiful and we even walked past Sycamore gap. 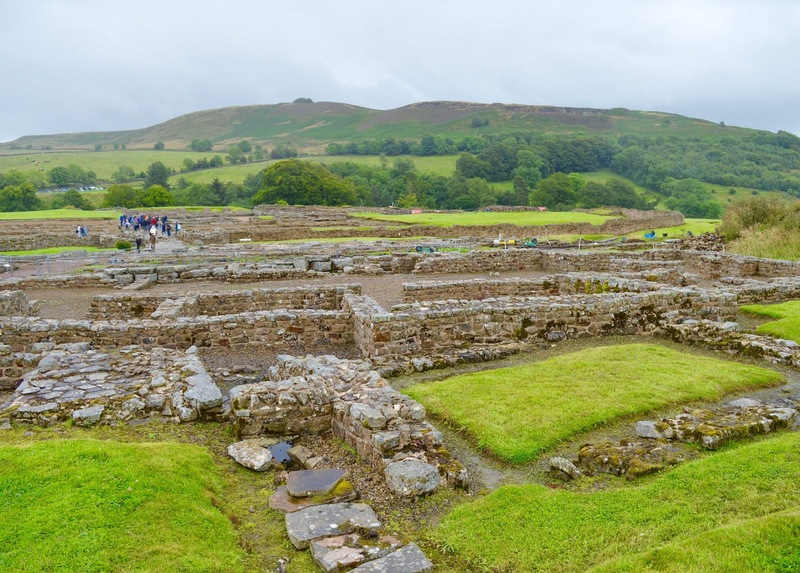 Vindolanda is a real 'must visit' site on the wall. I'm kind of gutted we had only planned to stay an hour as there is SO much to do here. Next time, I will definitely leave 2-3 hours to take everything in. 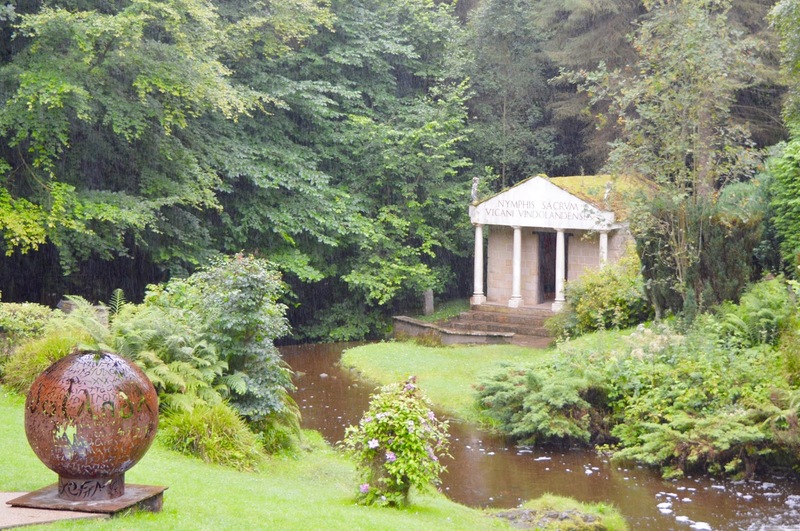 Vindolanda is a large & working archaeological site. 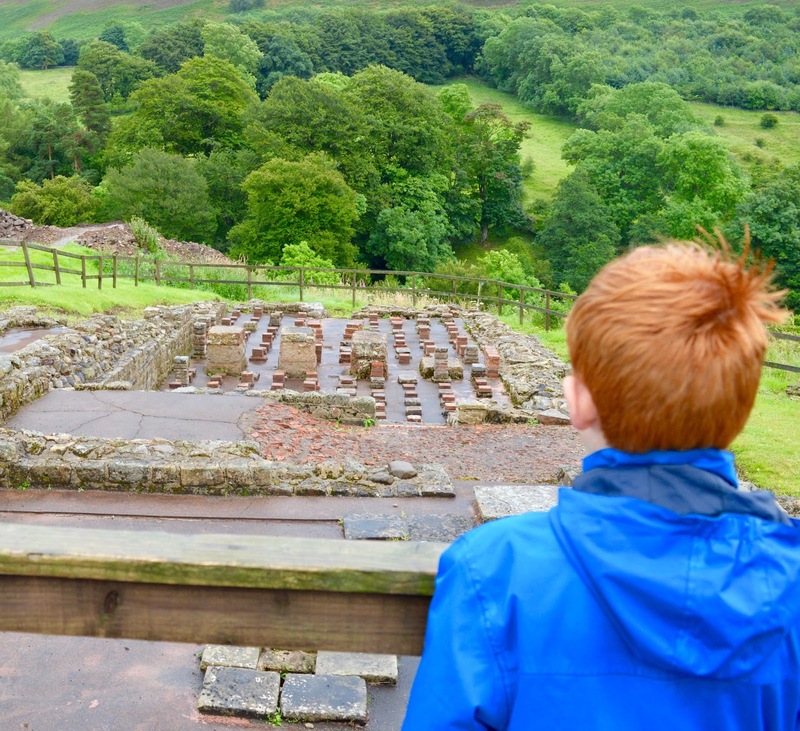 You can see what it used to be like at the Roman Army Museum which really puts it into perspective but it's fascinating walking around the ruins. There are regular free guided tours too. 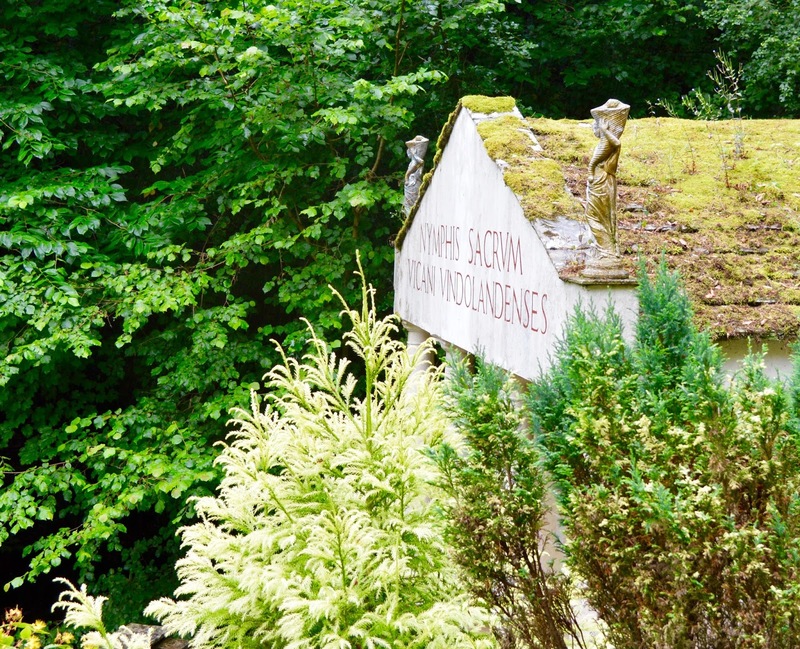 Vindolanda is also home to some really beautiful gardens and cottages that have working re-constructions of village homes and merchants in them that come to life as you step in side. 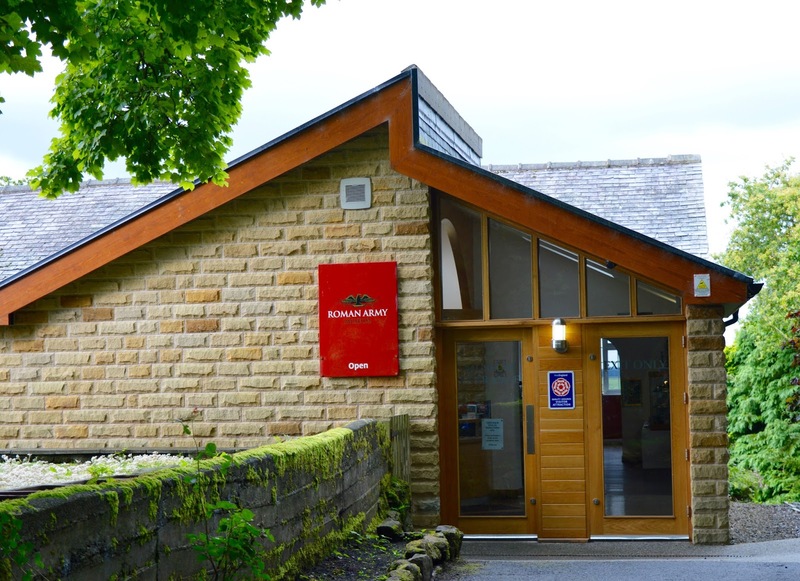 There is also a fascinating museum absolutely filled to the brim with artefacts and finds from the site ranging from Roman writing tablets to animal skeletons and weapons. 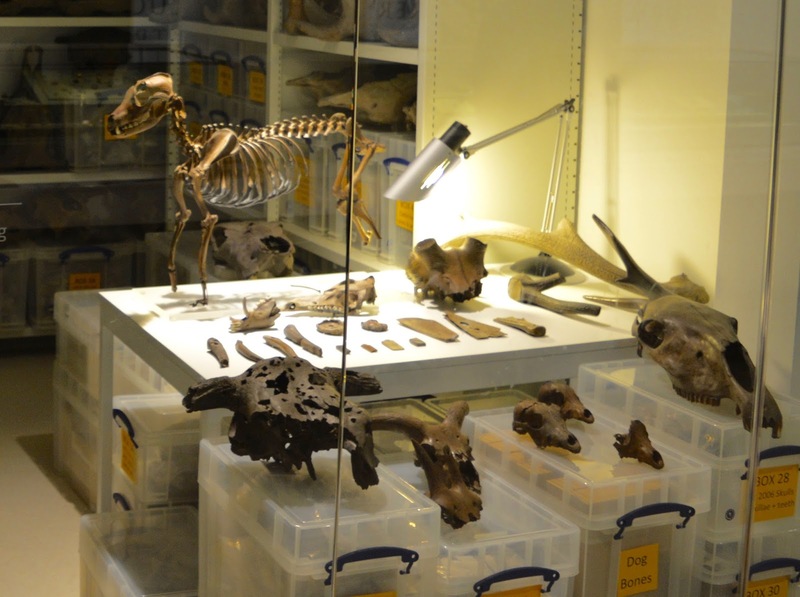 It really is a very comprehensive collection and it was nice to walk around, take everything in and hide from the rain. 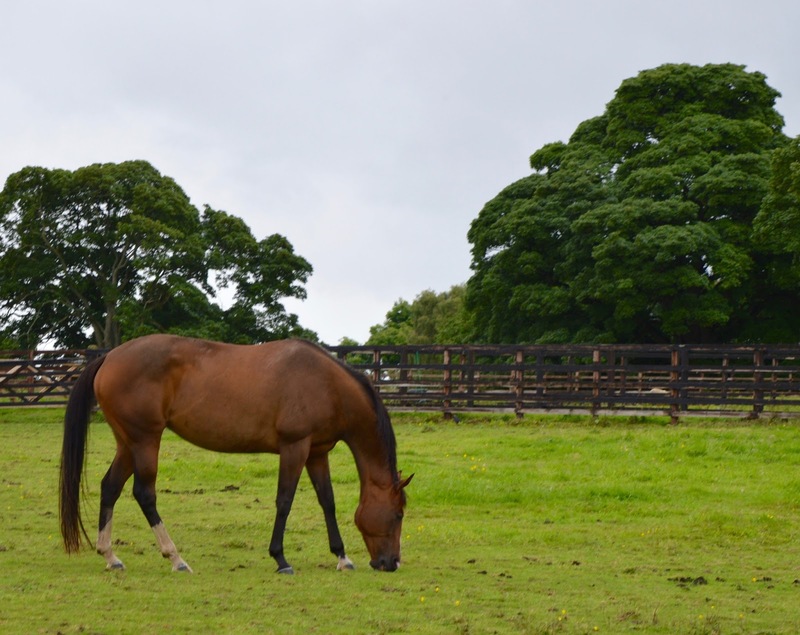 We arrived at Chesters at 3:49pm and it was still raining. 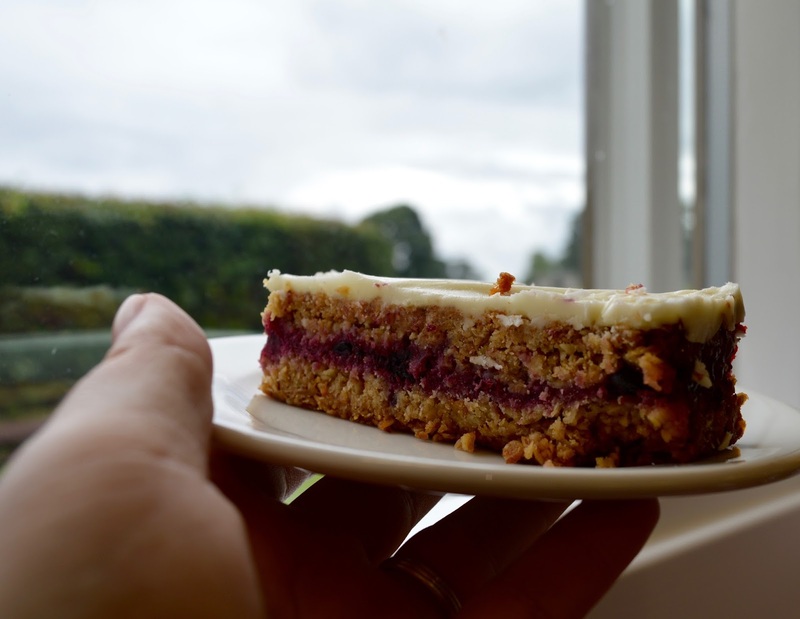 We were tired from all of our walking and in desperate need of a cuppa and cake. 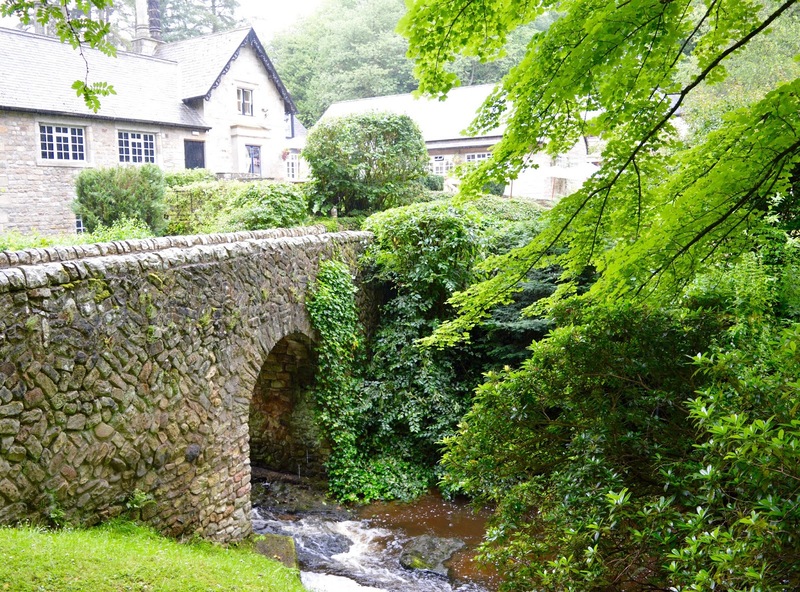 Chesters tea room was the perfect spot. 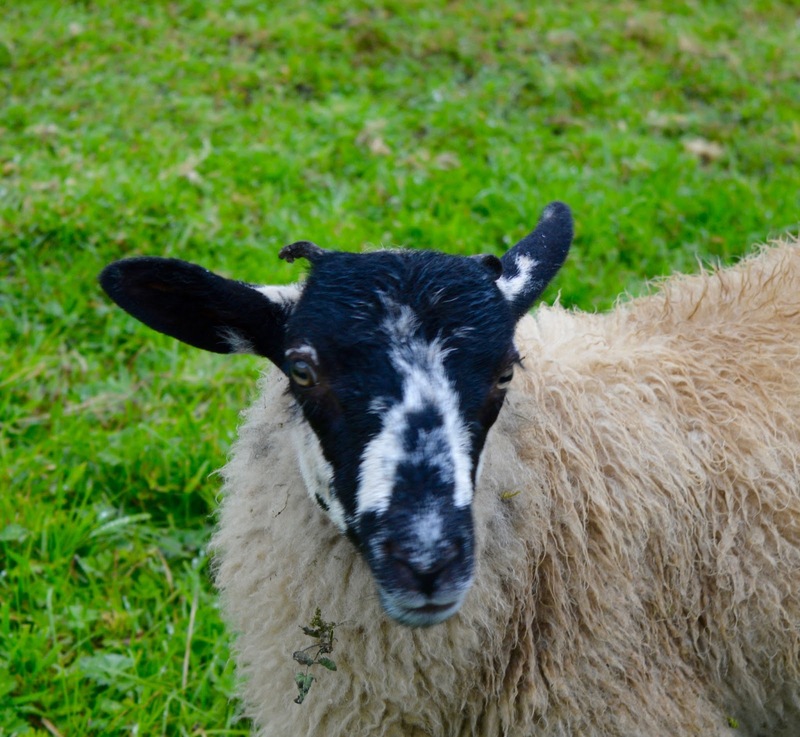 It is nice and cosy and the staff couldn't do enough for us to ensure we were comfortable. 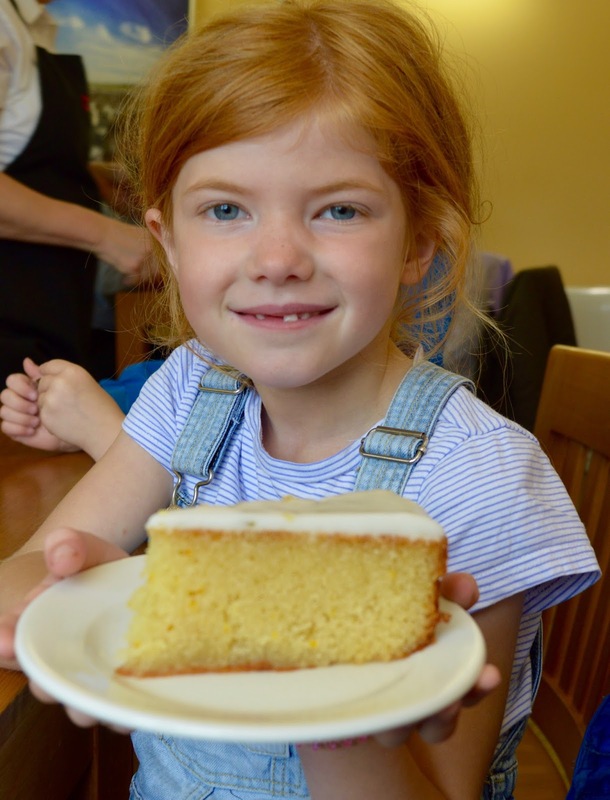 There were 4-5 different homemade cakes to choose from and 5 slices of cake plus drinks set us back £20 which I think is reasonable. 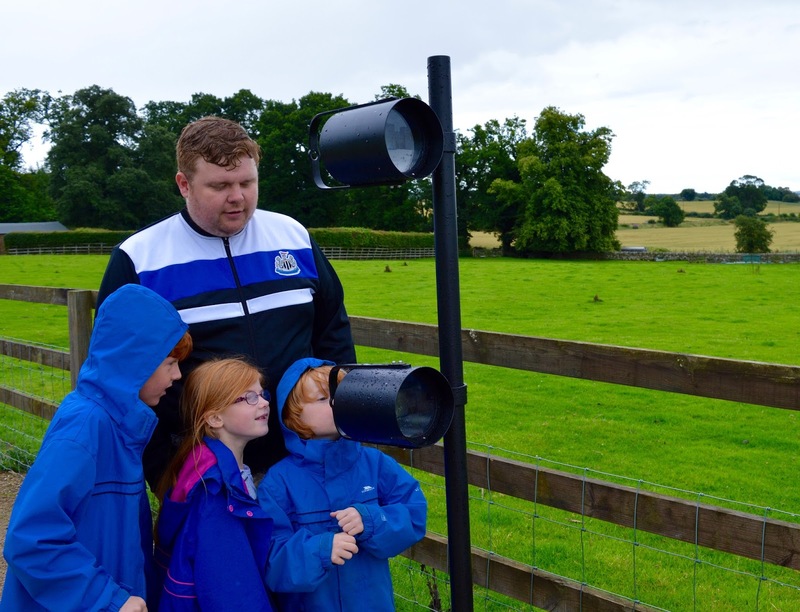 Admission to Chesters is free for English Heritage members or £16.10 for a non-member family ticket. There was just enough time for a quick whistle-stop walk around part of the site before it was time to leave. 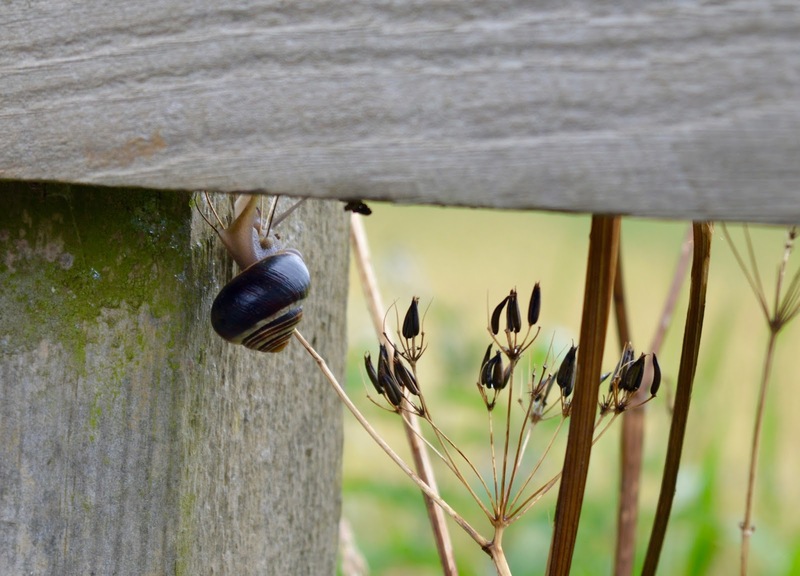 We loved spotting the various snails and insects as we waited for our bus back to Hexham (which only takes 15 minutes by the way). From Hexham, we headed back home to Newcastle. We were absolutely exhausted but felt like we'd spent some proper quality time together, inhaled plenty of fresh country air and learned a thing or two. My TomTom Spark informed me that I'd walked 17k steps that day too which isn't bad going at all. This looks like a great family day out and the food looks delicious. Oh how wonderful! I'd love to explore that area some day. Sycamore Gap - that's where Robin Hood and Azeem meet Will Scarlett in Robin Hood Prince of Thieves, isn't it! Gorgeous spot! I agree that it would be nice to see country pubs making more of an effort. It's not hard to cook from scratch. Ah pub grub should be made with some effort but like someone said there's no real competition so they don't bother. Such a fulfilling day, I love seeing what else there's to offer. 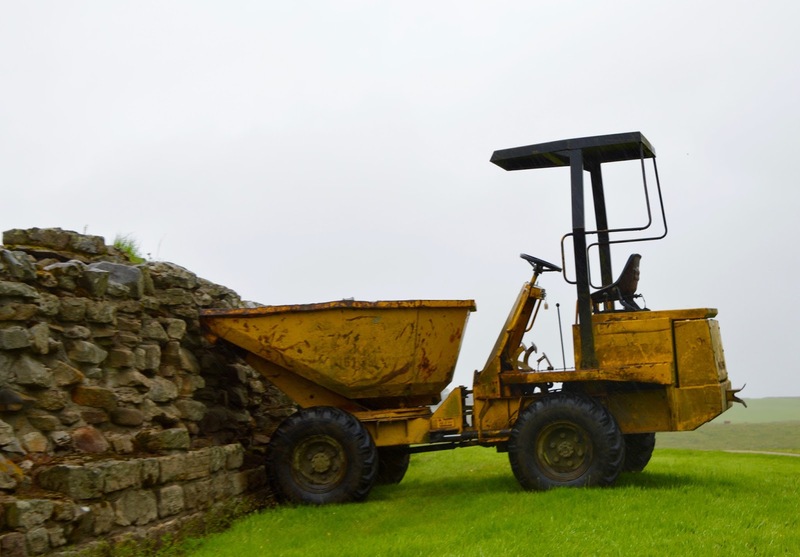 Great post, it's tempting me to get out and explore the Wall. 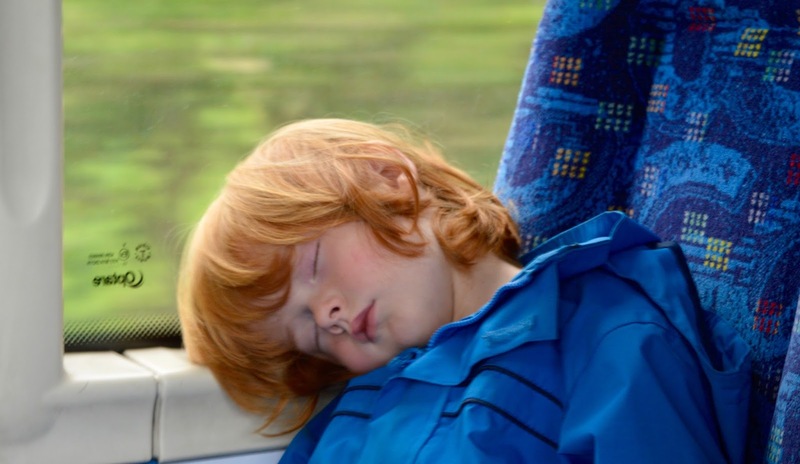 Omg how damn cute does your little boy look, sparko on the bus home! Sounds like such a fun day out! 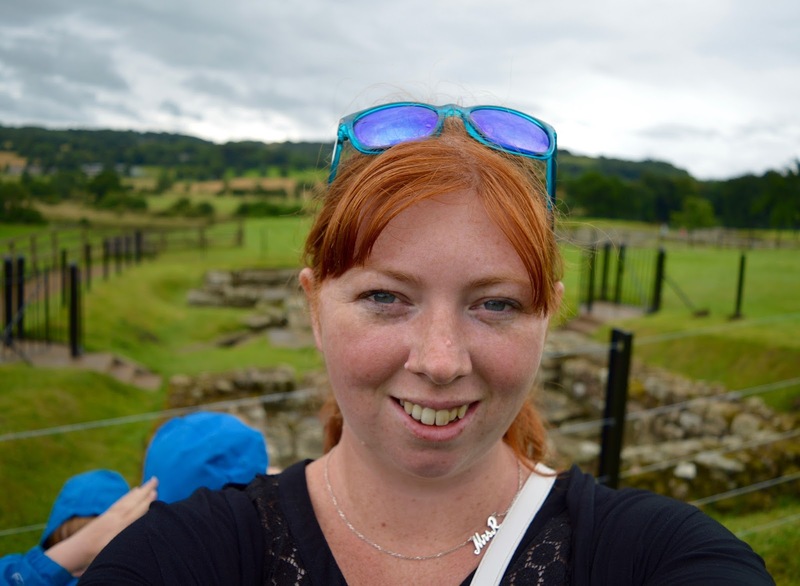 I had no idea about Vindolanda! Look like the sort of place I'd like to visit! I'm going to find out how far away it is from mine! What a fun day out, I think people forget how travelling on a bus can be so enjoyable. 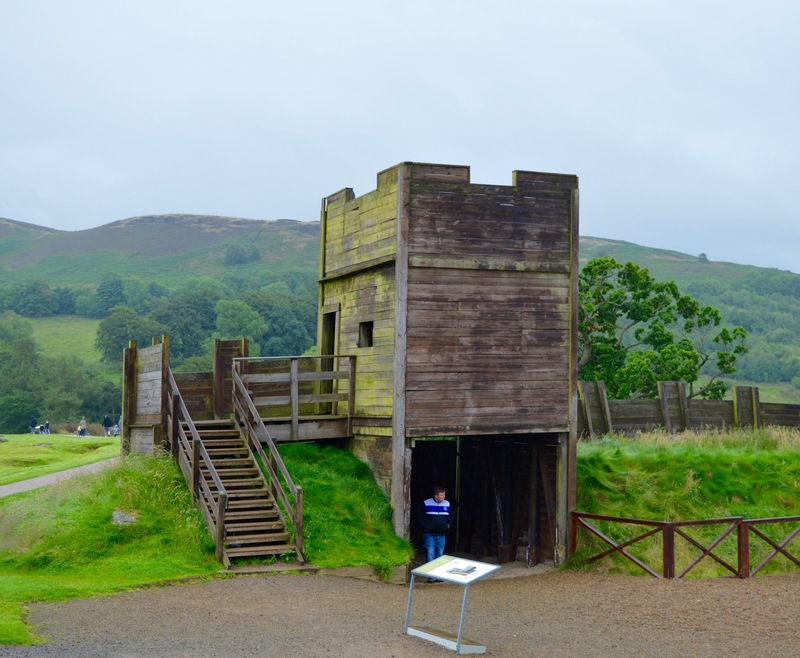 It's a long time since we visited Hadrian's Wall, this has reminded me that we must make a visit back up to the North again. 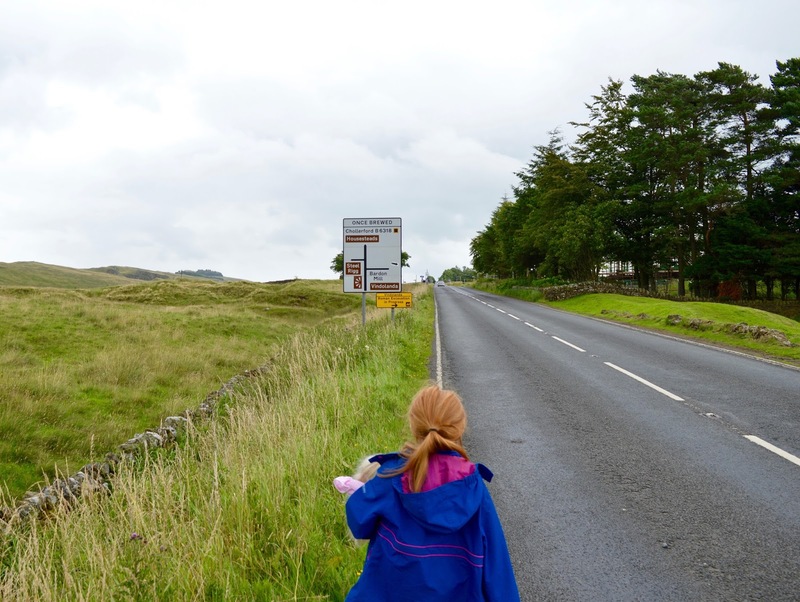 I've been wanting to do Hadrians Wall for such a long time. All those years without a car - I had no idea we could go on a bus adventure! This sounds exhausting but also a whole lot of fun, I think Bobbins and I would like to do this, I'm not sure about any of my teenagers, there's just not enough in the way of phone signal for them so I can't coax them with the promise of Pokemon, i however might just do this if I ever get the time. It looks like such a lovely day out. I can't remember the last time I went to Vindalanda - I reckon I was probably at Primary school! 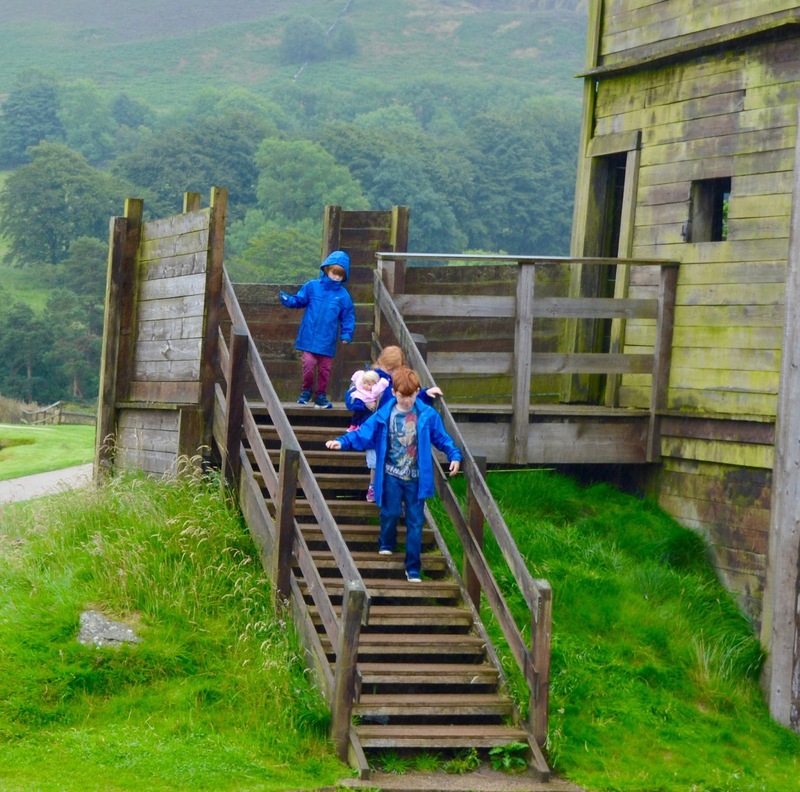 We never visited Hadrian's wall at school! What a crime! I love the fact you can get a bus to visit all these stops, that's getting so much more unusual sadly but how great. I know - long live the bus! We're Finally Buying a Car! 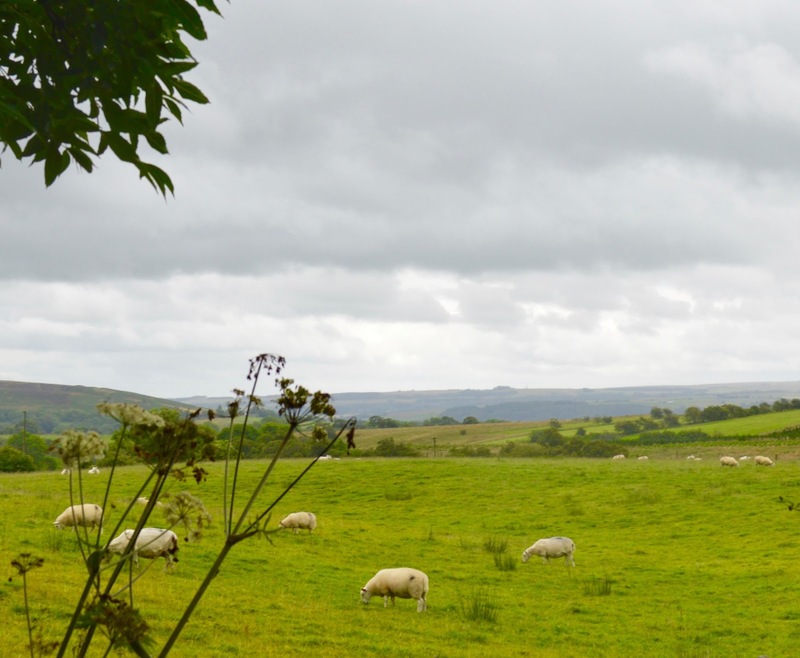 Win 3 months’ free Go North East bus travel!